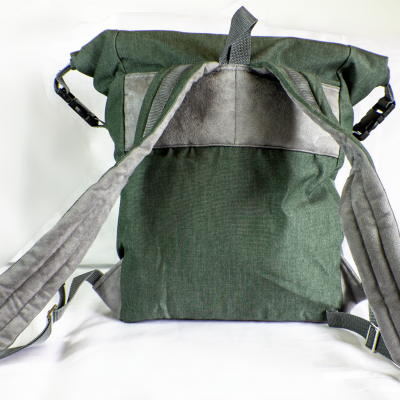 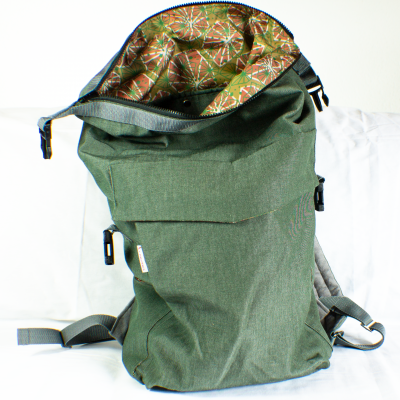 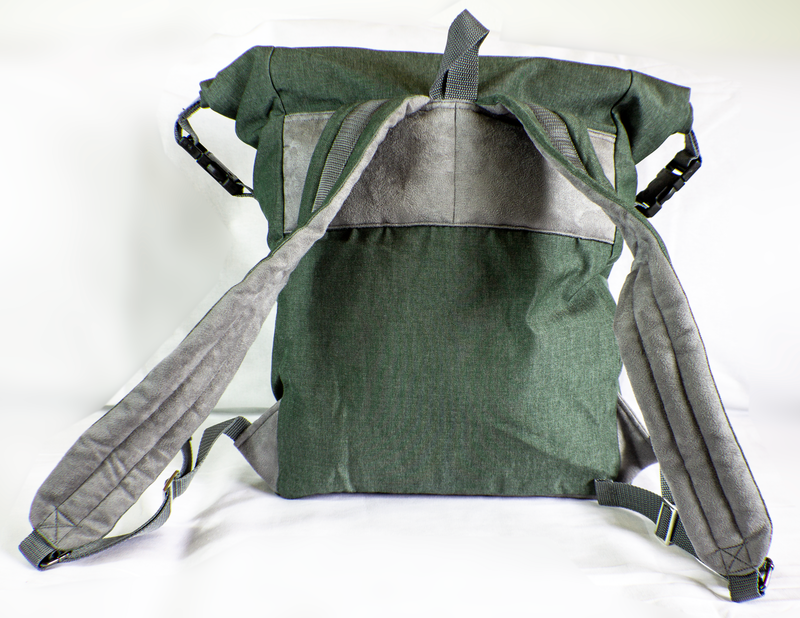 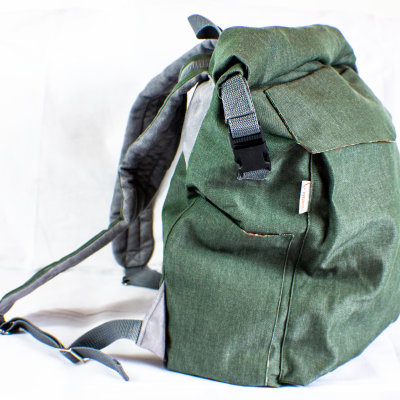 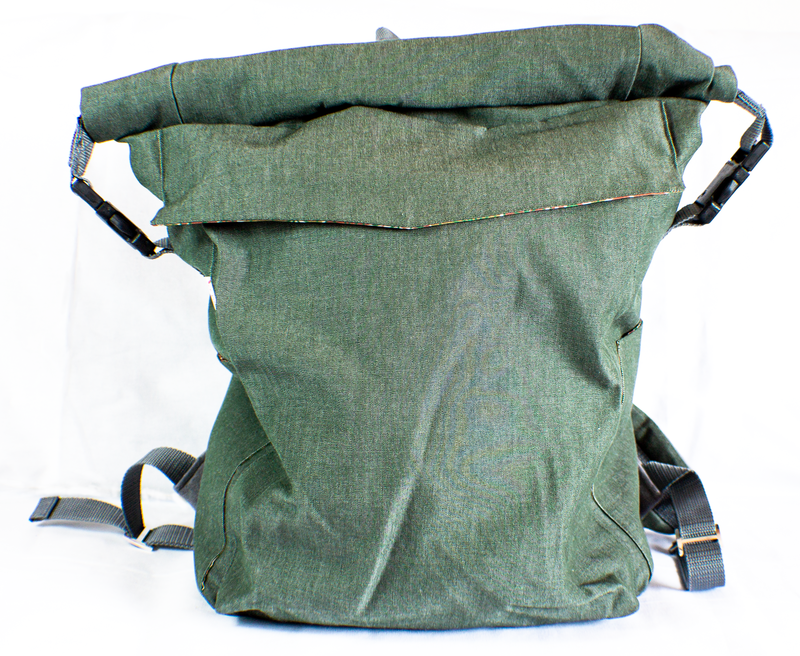 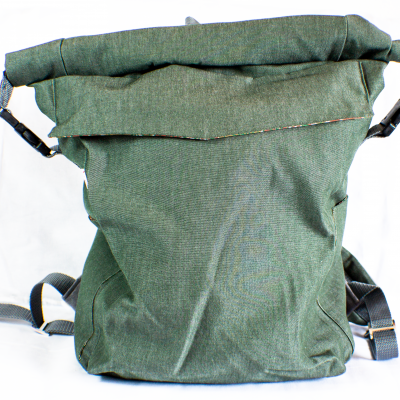 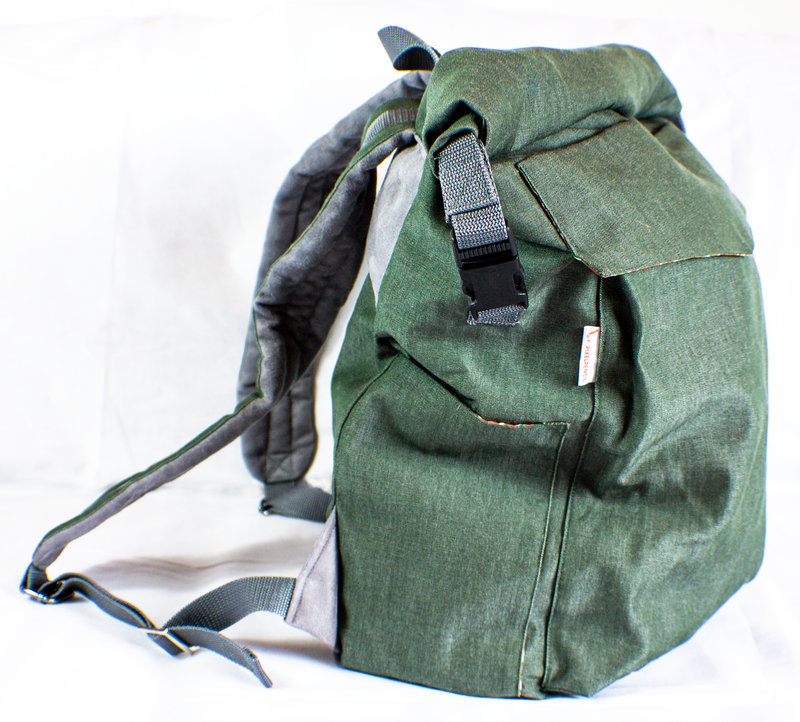 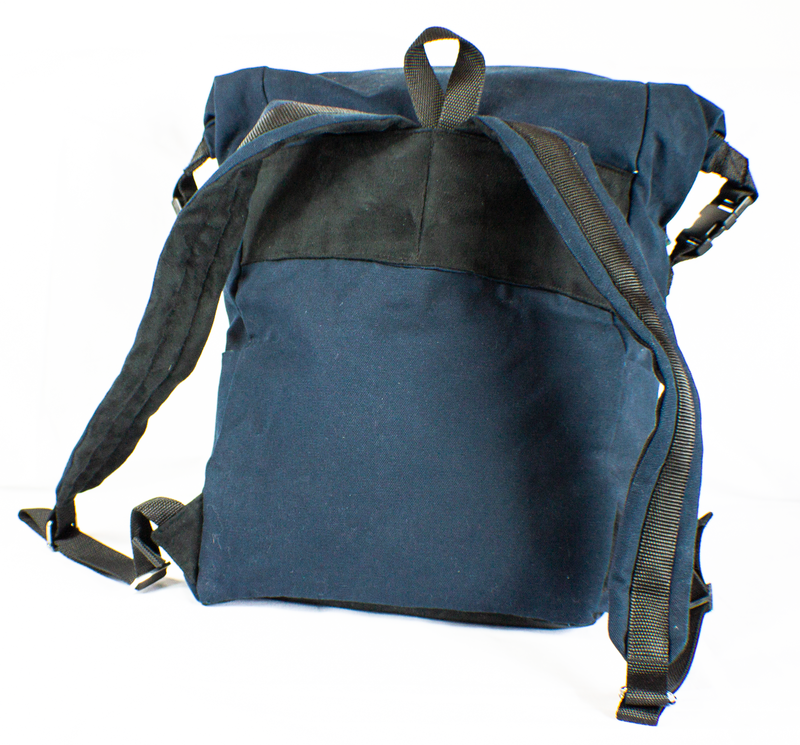 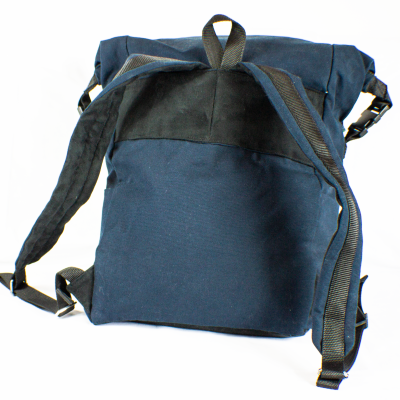 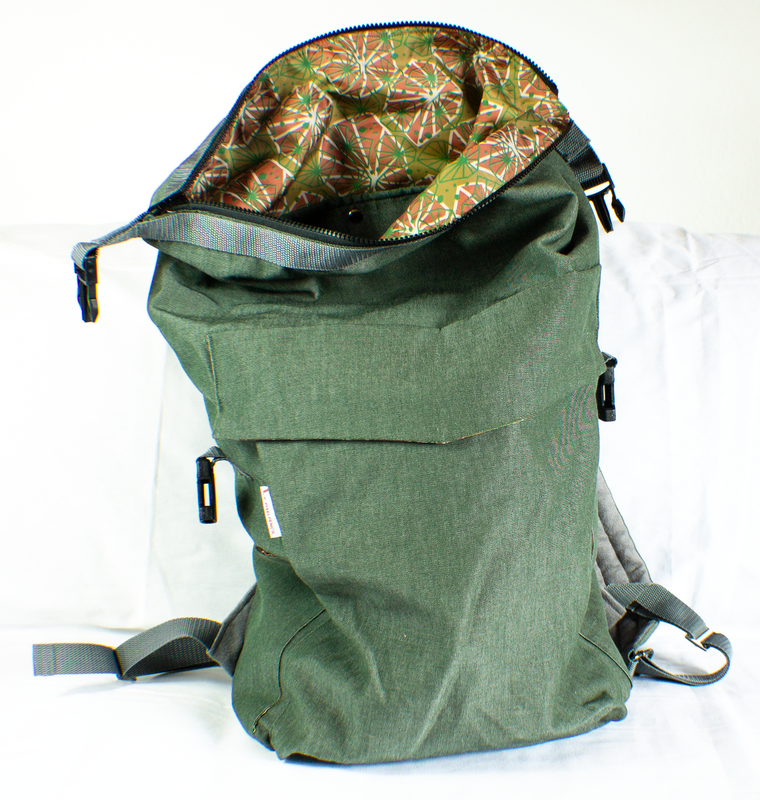 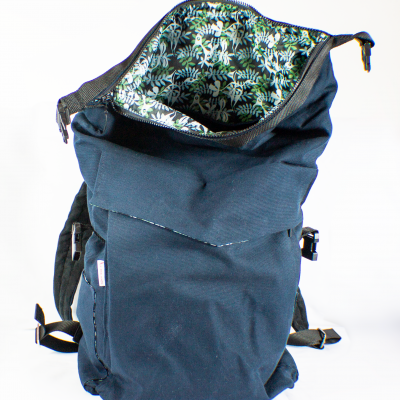 The Roll-Top Backpack, gives you the opportunity to roll your bag into the size you need. 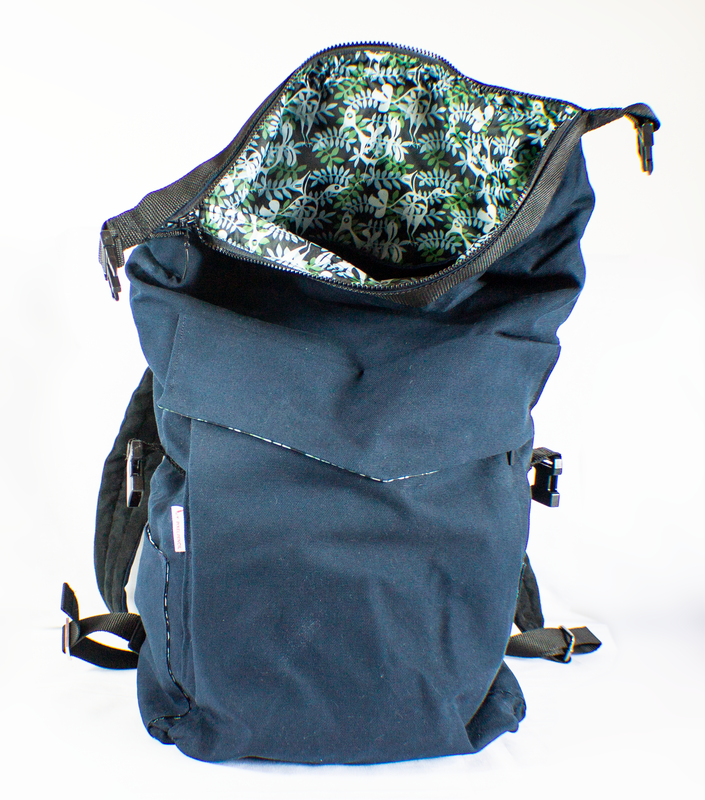 Roll the top up, if you need a lot of space. The zip at the top makes sure, that your stuff stays in the bag. 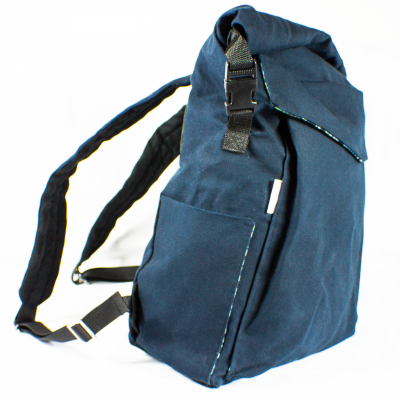 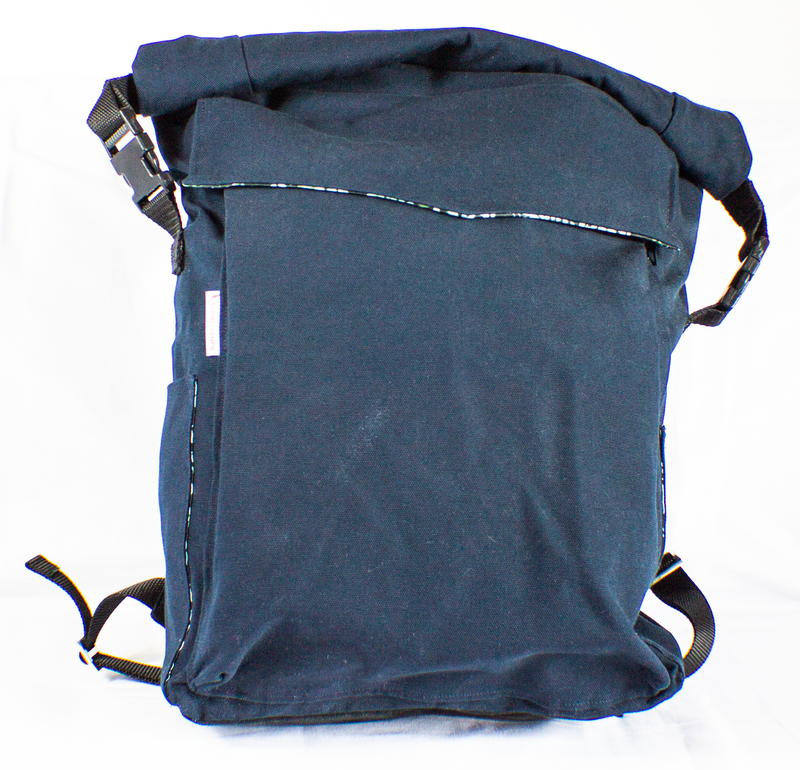 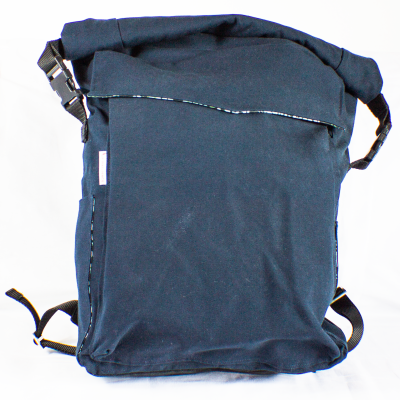 There are extra pockets inside, two small and a big for your laptop. 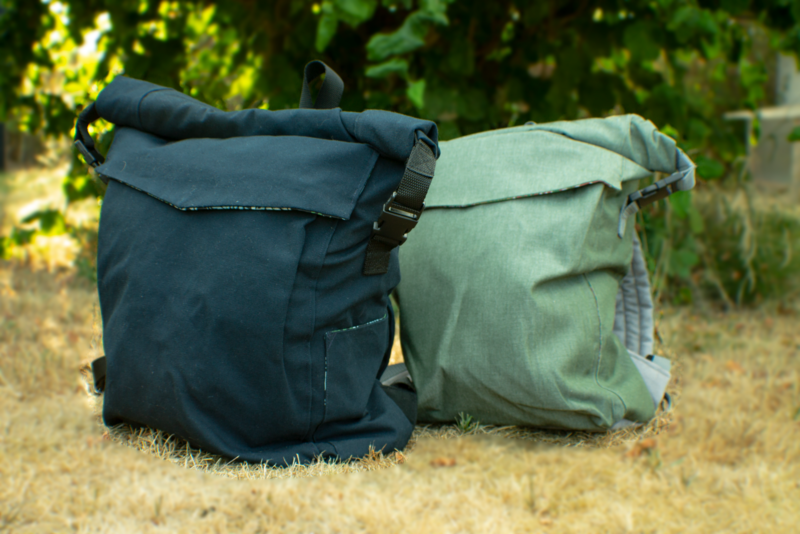 The inside is lined with water resistant fabric, so that your content is kept dry when it rains, or the outside bag remains dry when you leave the gym with a wet towel and sweaty workout clothes.